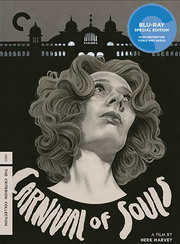 Until this release, I had no idea just how brilliant a film ‘Carnival of Souls’ is. It’s MY sort of film – quirky, cultish, fiendish; taking me back to a misspent youth staying up late on a Saturday night to watch Dr. Creep host horror films just like this one in small-town Ohio in the very early 1970s. Although it has long been on my radar, I have never bothered to watch it as I knew it had fallen into the public domain which, from previous experimentation, often meant godawful quality transfers that were barely watchable. So when I learned that it was film destined for the Criterion treatment, I couldn’t wait to give it a watch. It certainly didn’t disappoint. In fact, it was a joy from start to finish and will get another airing before Halloween is over. The history of how the film came to be is worthy of mention before I dive too deeply in. Produced on a paltry, highly independent budget by a couple of employees from Centron, a rather good ‘corporate / industrial’ films outfit based in Lawrence, Kansas; at the time the least ‘Hollywood’ location imaginable. Herk Harvey, a director at Centron, happened upon a deserted carnival / pier whilst driving past Salt Lake City. Once a grand and highly populated venue, the lake had retreated around it and, following a series of commercial disasters including fires, it now stood, virtually intact but entirely empty. It struck him as a great place to make an inexpensive feature film. When he returned to Kansas he shared his idea with staff scriptwriter and the pair set to work, planning to shoot it over a two-week vacation with local actors from the University. What they achieved, now seen in this pristine transfer, is truly remarkable. The film starts with a street drag race between some local boys and a car full of girls. As they race across a bridge, the girl’s car plunges into the lake below, presumably drowning all the car’s occupants. But after some hours of searching have passed, one of the girls, Mary Henry (Candace Hilligoss), emerges from the water. Apart from looking a bit spaced out, she looks fine. Following the accident, she decides to take a post as a professional organist at a church in Utah, despite having no real religious proclivities. When she arrives in the town, everything seems fine, if a little strained (cue David Lynch) and she settles in to her new role. She rents a small apartment in a local boarding house and starts her role, playing a large, impressive organ in the local church. The minister, a kindly man, invites her out for a drive and they pass the abandoned carnival. She is strangely drawn to it and, despite warnings from the minister about its safety, is determined to return and explore it properly. Then things start to go strangely awry, sometimes in very human ways (her male neighbour seems positively predatory in his advances) but often in other worldly ways too. There are moments when Mary feels faint, only to discover that she has somehow crossed some weird line to another world where she is able to see everyone else, but they can no longer see her. Or where she falls into a reverie practising the organ and begins to play some forbidden and demonic tune, after which she is sacked. And who is the strange, pale ghostly man that she sees reflected in mirrors or windows? 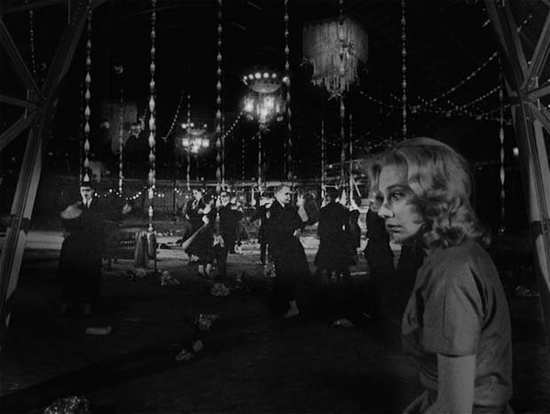 Or when she visits the empty carnival to be confronted with zombies that pre-date those in Romero’s ‘Night of the Living Dead’ and which pretty much set the mould for them. Throughout, the atmosphere is heavily enhanced with some superbly shot, high contrast black and white cinematography; an exclusively organ-only soundtrack (maybe for budgetry reasons but it works a treat); and some deadpan performances which seem positively Lynchian in their approach. 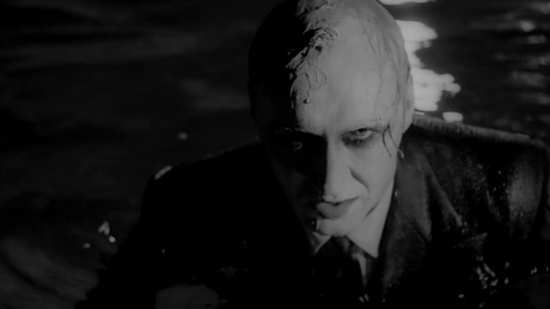 Apocryphally, the film was quite an influence on David Lynch’s ‘Eraserhead’ and it’s easy to see why. In one of the many extra features, someone notes that the film was released in the same year as Alain Resnais' ‘Last Year at Marienbad’ and, tonally, the similarities are remarkable. Maybe there was something in the air in 1962? Refreshingly, both the director and script writer laugh off any deep analysis of the film, claiming they were just trying to make a spooky film on a budget, which, to be fair, they did and then some. The version used by Criterion for this release is a much cleaned up version of the shorter cut – which was how it initially ran, reduced to 78 minutes in order to squeeze it into a double-bill. However, they also include three of the cut sequences separately which no longer survive in such a pristine state. Presented in its original aspect ratio of 1.37:1, encoded with MPEG-4 AVC with a 1080p transfer, it looks amazing given its source. Here’s the transfer blurb from Criterion. "This new digital transfer was created in 4K resolution on a Scanity film scanner from the 35mm original camera negative. Thousands of instances of dirt, debris, scratches, splices, and warps were manually removed using MTI Film's DRS, while Digital Vision's Phoenix was used for small dirt, jitter, and flicker. The original monaural soundtrack was remastered from the 35mm original soundtrack negative. Clicks, thumps, hiss, hum, and crackle were manually removed using Pro Tools HD and iZotope RX 4. Transfer supervisor and colorist: Lee Kline. Scan: Prasad Corporation/Burbank, CA." Audio-wise there is just one track, English LPCM 1.0. and audio is excellent throughout – clearly the result of more care and attention in the transfer from the original negs. As a Criterion release, you’d expect a whole bunch of ‘film school in a box’ extras and they don’t disappoint. 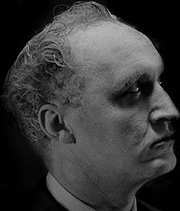 Trailer - original U.S. trailer for Carnival of Souls. In English, not subtitled. (3 min, 1080p). 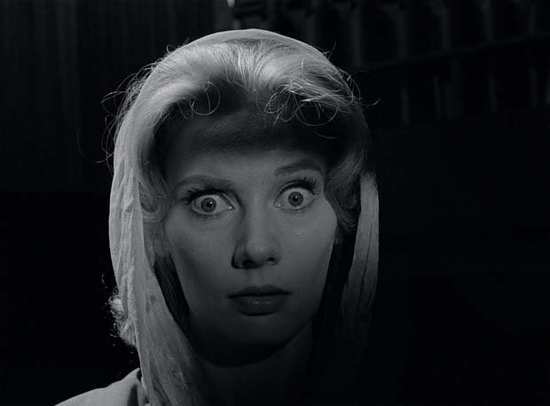 Deleted Scenes – Taken from a One Inch analog video tape, Criterion sensibly decided to not include this as it wold have denigrated the overall look of the film. 1. 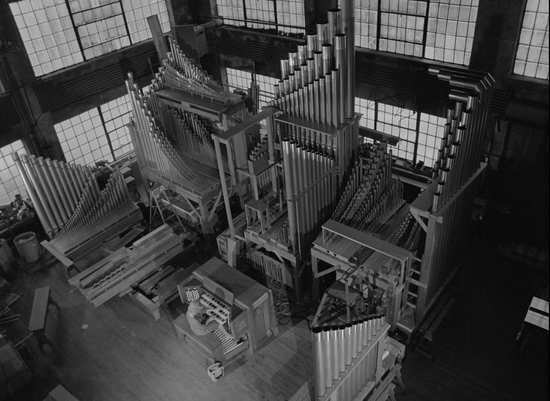 Organ Factory (2 min, 1080p). 2. Running (1 min, 1080p). 3. Doctor's Office (2 min, 1080p). Outtakes - A bunch of outtakes with music from composer Gene Moore's original organ score. Music only. (28 min, 1080p). Final Destination - in this new (2016) 20 minute interview featurette, writer and comedian Dana Gould reflects on his love of horror in general and this film in particular. (23 min, 1080p). The Movie That Wouldn't Die! 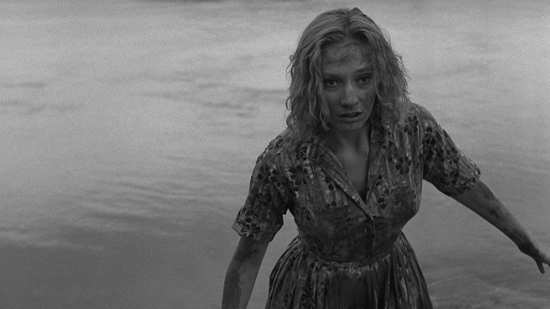 - presented here is an archival documentary that was made for the 1989 theatrical rerelease of Carnival of Souls. Director Herk Harvey and writer John Clifford explain how the film came about and reflect on its enduring appeal with genuine incredulity. They are a refreshingly modest pair! There are also interviews with critic Mark Syverson, filmmaker Tim DePaepe, one of the original local investors, Glenn Kappelman, and actress Candace Hilligoss. Added at the end is a 2000 tour of select key locations seen in the film. (33 min, 1080i). 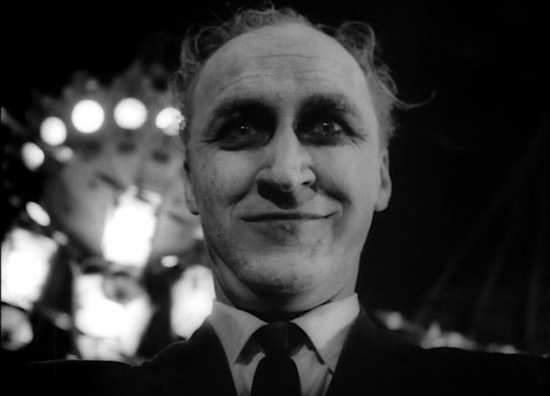 Regards from Nowhere - in this new, Criterion exclusive video essay, critic and filmmaker David Cairns discusses the impact of Carnival of Souls and its residing influence. (24 min, 1080p). Saltair: Return to the Salt Queen – An old documentary from 1966 shot by veteran broadcaster Ed Yates for Salt Lake City's KCPX-TV featuring the history of the Salt Lake pavilion. It’s pretty old and rough at the edges itself and not an easy watch. (26 min, 1080p). The Centron Corporation – In what is a very nice touch, and a tribute to the production team’s backgrounds are a collection of extracts from documentaries made by director Herk Harvey and screenwriter John Clifford for the Kansas-based Centron Corporation. 1. Star 34 (1954). (13 min, 1080i). 2. Rebound (1954). (22 min, 1080i). 3. Case History of a Sales Meeting (1963. (6 min, 1080i). 4. To Touch a Child (1966). (12 min, 1080i). 5. Centron Commercial (ca. 1967). (3 min, 1080i). 6. Signals: Read 'em or Weep (1982). (6 min, 1080i). The Centron Corporation: Essay – An archival essay on the history of the Centron Corporation which appeared in Ken Smith's book Mental Hygiene: Classroom Films 1945-1979 read by Dana Gould. (10 min, 1080p). Commentary – This selected scene audio commentary features director Herk Harvey and screenwriter John Clifford, taken from a 1989 interview. Very informative and a fun listen with two tremendously likable chaps. Leaflet - an illustrated leaflet featuring an essay by writer and programmer Kier-La Janisse. 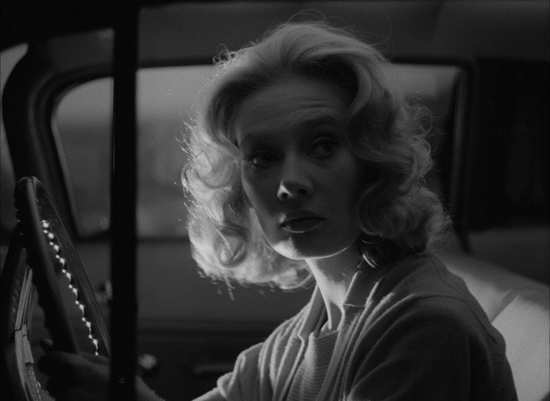 Carnival of Souls is such a great film, I can’t imagine how it’s eluded me until now – though I’m glad it has because with this edition I was able to enjoy it as its finest. It’s so much fun to watch and is one of those films that I think will benefit from repeated viewings, destined to go on to my ‘comfort viewing’ pile along with the Universal horrors. Both the film and this particular edition is highly, highly recommended.